Professional tasting with Femmes Vignes Rhône Monday, June 10, 2013. 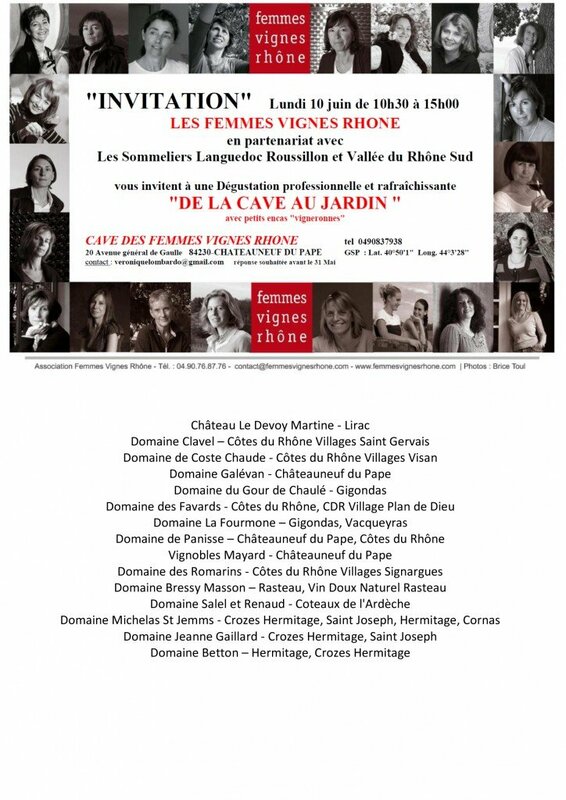 Femmes Vignes Rhône invite you Monday, June 10, 2013 10 h 30 to 15 h for a tasting in their cellar in Chateauneuf du Pape (20 rue du Général Degaulle). You will find below an invitation to share this special moment. Looking forward to welcome you very warmly.